Where on earth did the last week go? Don't you just hate it when that happens? 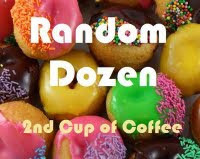 Anyway, it is time for Random Dozen again, hosted by 2nd Cup of Coffee, give it a try, it's fun. OK lets get one thing straight here, in general I hated school so trying to think of a favorite teacher is a tall order. It would probably be Mr Morgan from junior school just because he was so random and off the wall and didn't really behave like all the other teachers! Purple, and I have absolutely no idea why I just find it a very pleasing colour. I can't remember, what was the question again? Not one I have a particularly strong feeling for, it is certainly far bigger in the US than in the UK. I am and always will be a sucker for Christmas. Yes I did know that because I had considered doing it for my husband one year as a gift but then I figured that it would be something that I would think was romantic and he would think is silly! 9. What's the craziest thing you've ever been doing and texted during it? I only thought of this b/c I was about to try to text during my walking video but I didn't. 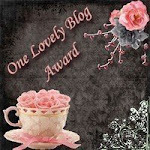 Paula, you do know that this blog is rated G, right? I rarely text so I am afraid I don't have an interesting answer to this one. I day dream - I have a PHD in that skill by the way! Hmmmm probably not because I am pretty anti-social so I probably wouldn't make the effort to try and get to know me. It is time for the Random Dozen again, hosted by 2nd Cup Of Coffee. You should try it, you might be suprised by some of your answers. My thoughts on this are .............why? Absolutely not, I am a carnivore to the core. Quite apart from the fact our evolving to eat meat is what led us to develop beyond other ape relatives. We have a cute pair of little reindeer antlers that our dog has worn occasionaly at Christmas but that is about it. What I miss most about childhood is the simplicity of it all. A wonderful naive view of life, no concerns about what tomorrow will bring, it truly is a time of innocence. I used to compete in dressage competitions and apparently I was reasonably good at it because I won a few trophies. I also won a trophy for netball when I was at school! I don't often play board games but it would probably be Monopoly. I actually like them usually. Although to be honest I can't remember the last time someone gave me a nice surprise. I must say I do like giving them too. Ouch this is another of those 'tough for an only child' type of question! It really depends on what I am saying sorry about. If I genuinely think it is something I am right about then, yes I do find it hard but it is something I have made a conscious effort to be better about as I have gotten older. Good grief what a question! I would serve snacks that were easy to prepare! And lots of cheese. I am very lazy in the kitchen :) Projects that represent me - well my blog for a start. Probably some of my craft projects, past and present. Don't really have many graded papers except my home study ornithology course so I guess that would have to do. Even the thought of an open house horrifies me, that is my bolt hole where I like to hide from the world!!! As has been a common theme with most of our field work this year, it was a cold, windy, wet day. So what better thing to do on such a day than put on the trusty chest waders and splash about in a marsh for a few hours? OK, yes, I am a little crazy! We had some of our two year old turtles to release and also some one year olds. As with so many other things, funding for restoration projects has been rather thin on the ground this year so, unfortunately none of our two year olds will be equipped with radio transmitters this year. We have to rely on photographing the plastron just prior to release which is not a totally fail-safe form of ID as they do gradually change over time but still it is better than nothing. It is always fun to see how each individual responds to this big moment. Many of them bob around on the surface for a while, gazing down into the water. Some just dive straight down and disappear from sight immediately but we had one little guy this year who really didn't seem too keen on the whole idea at all. He immediately hauled out onto a stick and didn't seem to want to swim away. He eventually got the idea though and away he went. Of the two year olds that we have been working with for the last year there were also some very distinct characters. Number 89 was the thug of the group, the biggest and most aggressive, always first in line for food and beating up the other turtles and stealing their food. All characteristics which although hard to love, should stand him in good stead for surviving in the wild and he was raring to go! On the other end of the scale was little number 1. Always the smallest, always getting beaten up by the others but still feisty enough to get enough food. In this picture you can see the end of its tail is missing, bitten off during one of the scuffles! Also a scar on the rear right leg from a particularly vicious bite it received. These young turtles are all well fed so all they will need to do now is burrow down into the mud and hibernate until next spring when we will wade out into the marshes once more and see if we can find any of them - good luck guys, hope to see you next year! Macro Monday is hosted by Ed and it is a great opportunity to check out the smaller things in life. Unfortunately it is getting to the time of year again when I am up before the sun. But at least this week I was rewarded with some spectacular views of the sun rising over the lake. For skies around the world visit Skywatch every Friday, it is well worth the effort. If you want to take part in this fun meme, hop over to 2nd Cup of Coffee and sign up. All you have to do is answer twelve random questions each week. 2. Are you more like Hall or Oates? Just kidding. Real question: What is the last creative project you began/finished? Feel free to post a pic of it. Great timing, I just finished making these fun little snowballs for Christmas. I just have to line them with something and they will be ready to hold a little gift. Sore spot! See question three. If I had 'an outdoors' to do chores in it would be pretty much anything involved with tending to plants, my condo is full of plants but it isn't quite the same as being out in the garden working on them. OK don't get mad but I have never had to worry about weight loss, I am one of those annoying people who has always been able to eat what I like. I thank my Dad for his good genes (his favorite saying is 'you can't put weight on a thoroughbred!' ) I am not sure if I would go that far but I certainly don't need to resort to smelling like an ash tray to be slim! I like doing a bit of both. Being the passenger can get a bit dull sometimes but on the other hand it is nice to have a break from driving too. Hmmmmmm not sure really, train spotting maybe? I usually give a movie about thirty minutes, if it hasn't captured my attention by then I usually go and do something else. My husband however will watch anything and everything so I have to leave the room in order not to see something. Books I usually just plough through and then when I have finished it I realise it was rubbish! If I am tired and grumpy -10 but if I am feeling OK then 10. I am trying to control my desire to live somewhere warmer and sunny! Michelle asked me to add this to her wonderful meme at Rambling Woods - check it out. At the end of last week we took this years batch of Blanding's turtles out to their outdoor pens to begin acclimatising them before they get released next month. For more information on our Blanding's restoration project check out my previous posts. Here is our precious load, safely strapped into the back of Jamie's car. These five, two year old turtles will spend a month in an outdoor pen before we finally release them into the wild. 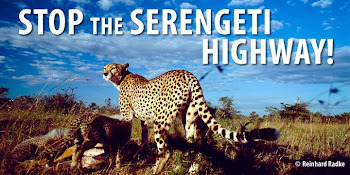 Before release they will have blood samples taken for genetic records for the project and they will be sexed. While we were delivering our turtles we got to meet this years hatchlings. It has been a bumper year and there are over two hundred and sixty healthy hatchlings. The bigger babies are divided into groups of ten and fed together in one container. We have to keep a delicate balance between making sure that each turtle gets enough to eat and ensuring that they have a strong instinct to compete for food. I don't think these two little guys have got any problems in that department! I asked Jamie to put her finger in the picture just to give you an idea of the size of a three week old turtle. So we came home with number 3, 113, 136, 181, 234 and 235. Of course number 234 became an immediate favorite because it has a lop-sided shell. And then the wonderful discovery of water! Look Mom I can swim!